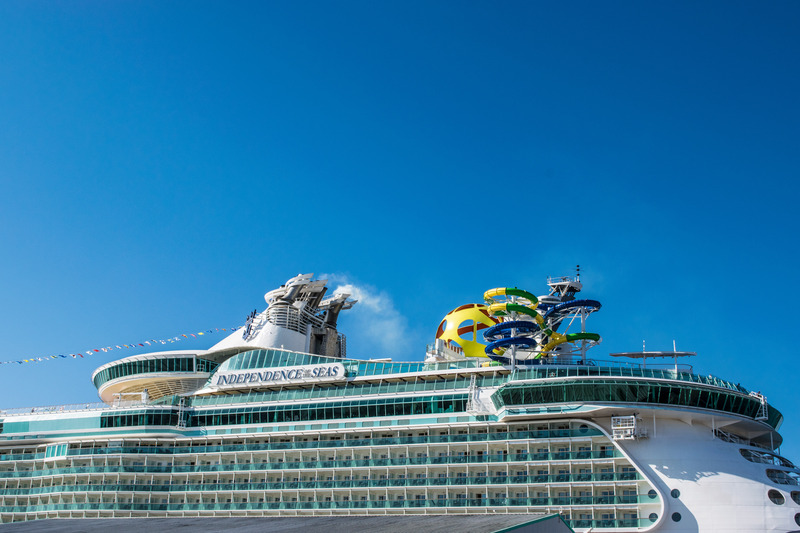 Exploring Independence of the Seas with Royal Caribbean - Kat Got Your Tongue? 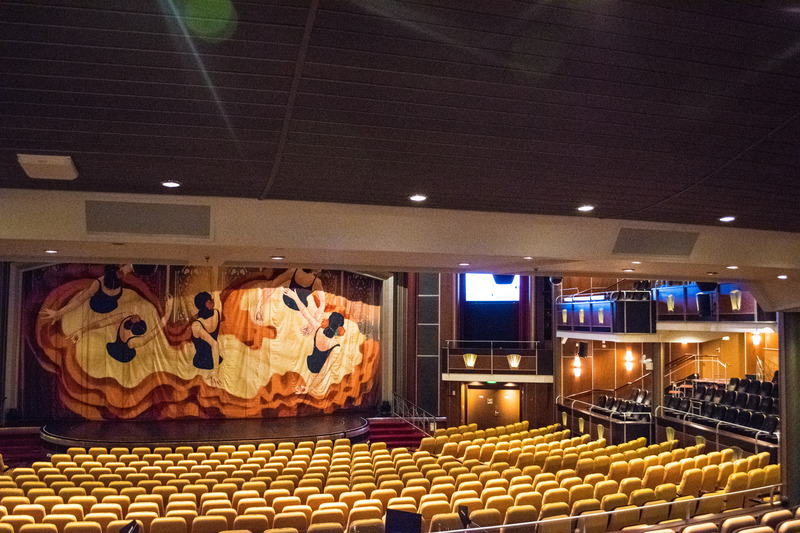 Have you ever been onboard a cruise ship? 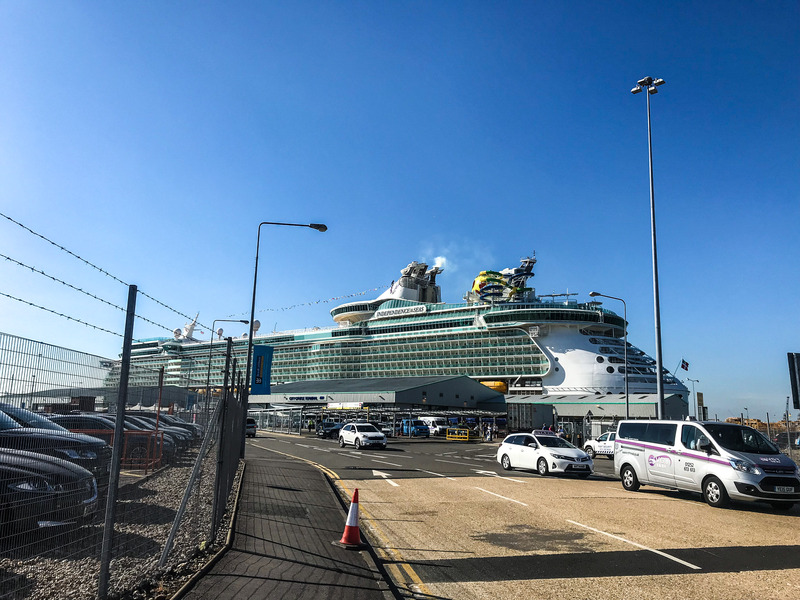 Neither had I until very recently – and I was so excited to have the opportunity to spend the day onboard Independence of the Seas with Royal Caribbean! 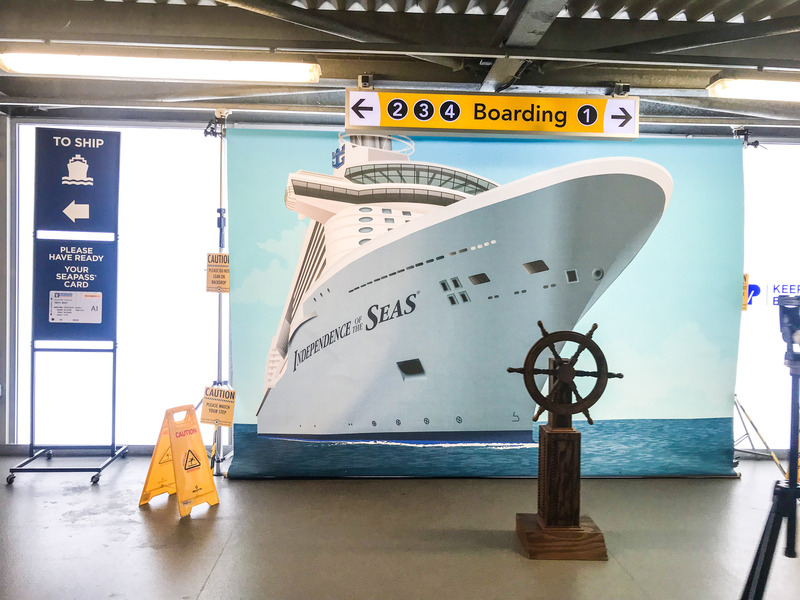 Independence of the Seas has recently had a multi-million pound makeover, to revitalise her appearance and add in a variety of exciting new activities. 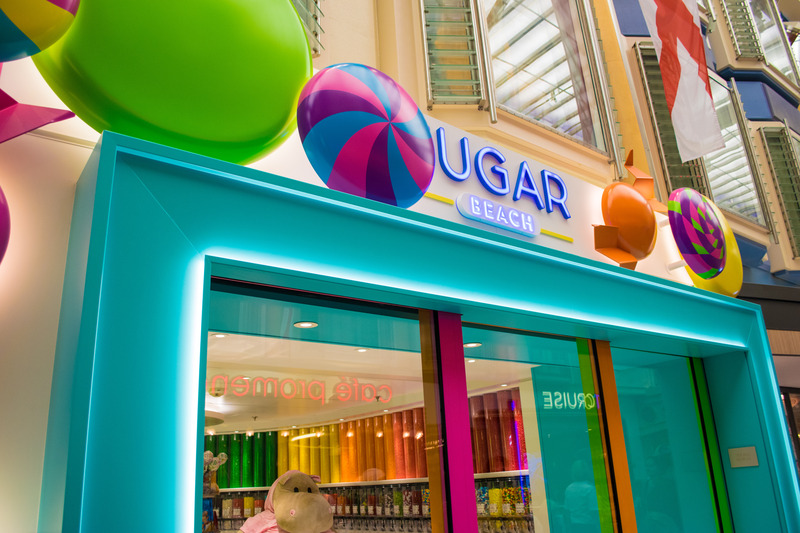 Let me show you around! 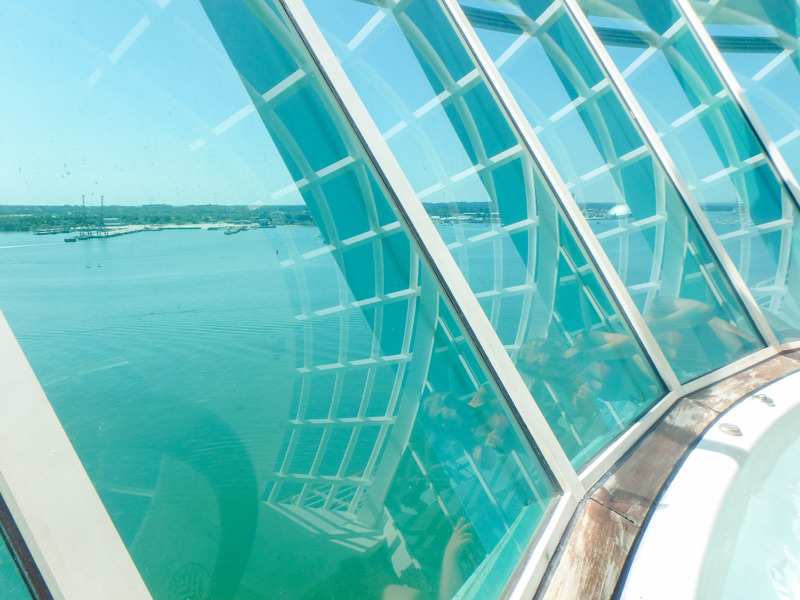 You can see the slides and the sky pad on the deck from the ground! 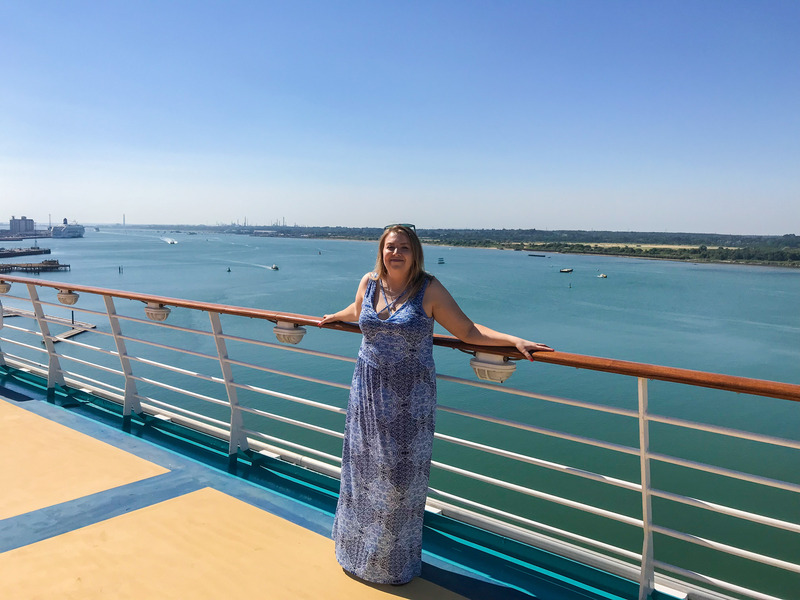 We were invited onboard Independence of the Seas while she was docked in Southampton for the day picking up her guests – and we took full advantage of our day to explore every nook and cranny of the ship! 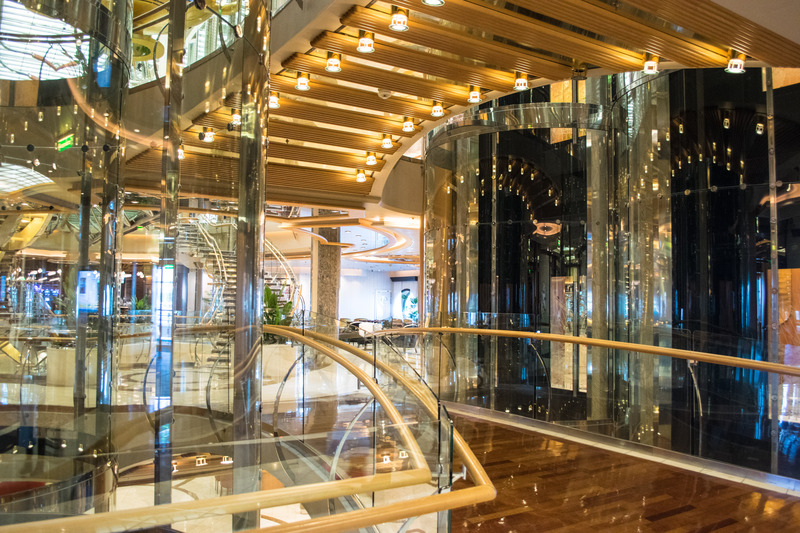 When you step onboard Independence of the Seas, you are greeted by beautiful corridors, imposing staircases and impressive lighting. 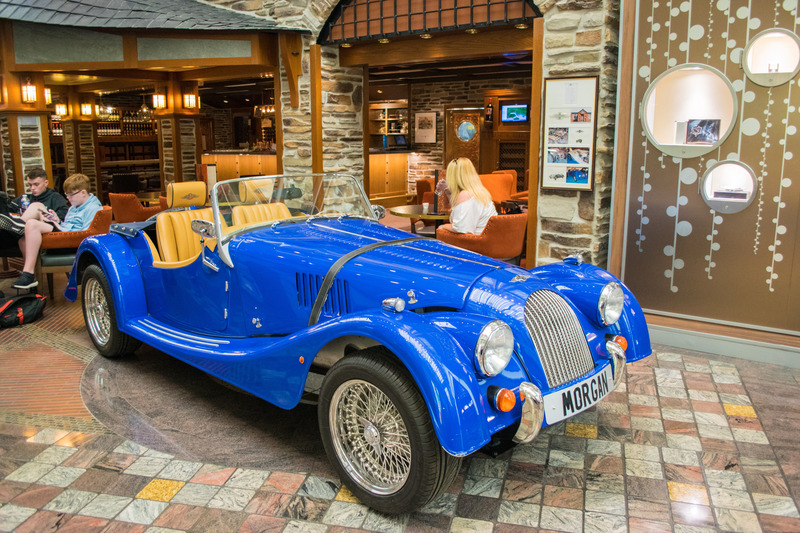 All of which feels very welcoming and luxurious! 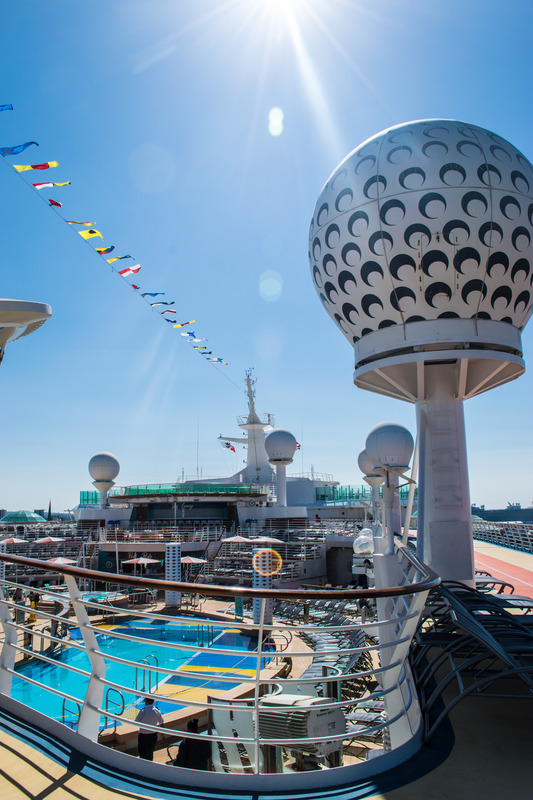 We headed straight up to Deck 11 to explore the pools and the new Splashaway Bay. 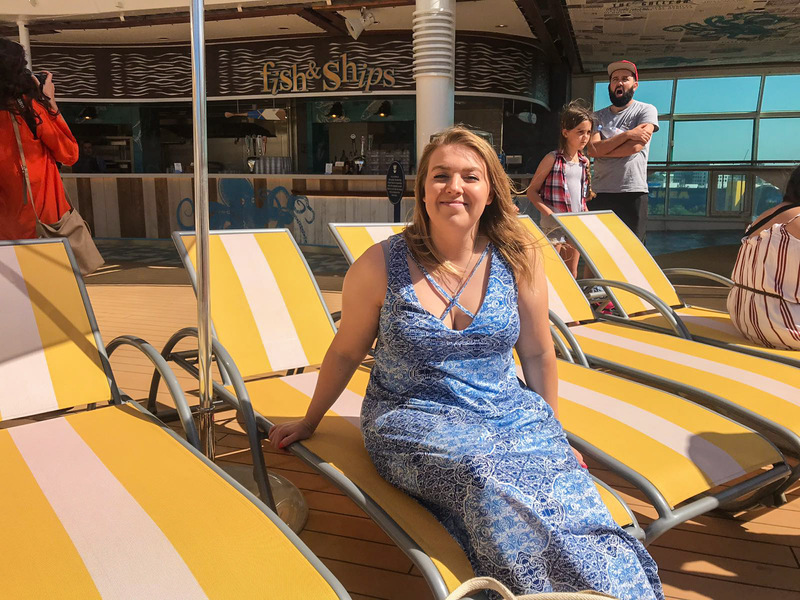 There were plenty of deck chairs lined up around the numerous pools, the sun was shining and the water was rushing down the water slides – it really felt like we had stepped through the doorway to a holiday abroad! 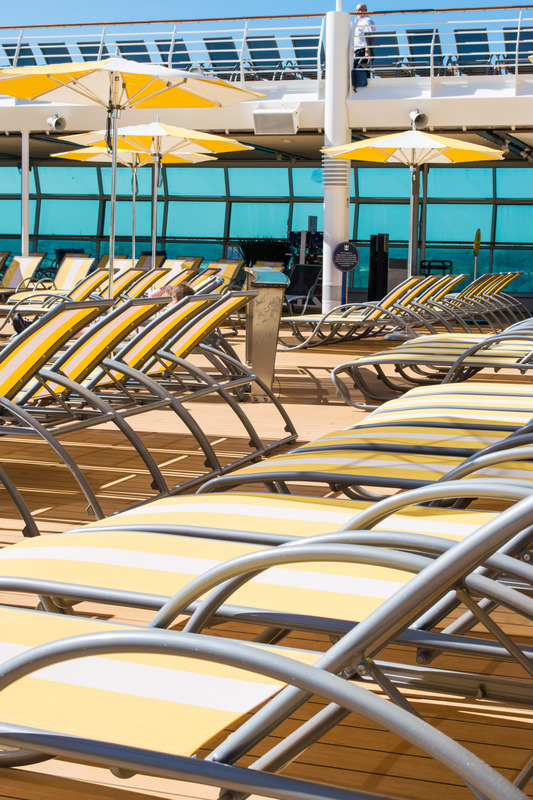 This is Splashaway Bay – which, much to our disappointment, is a child-friendly zone! 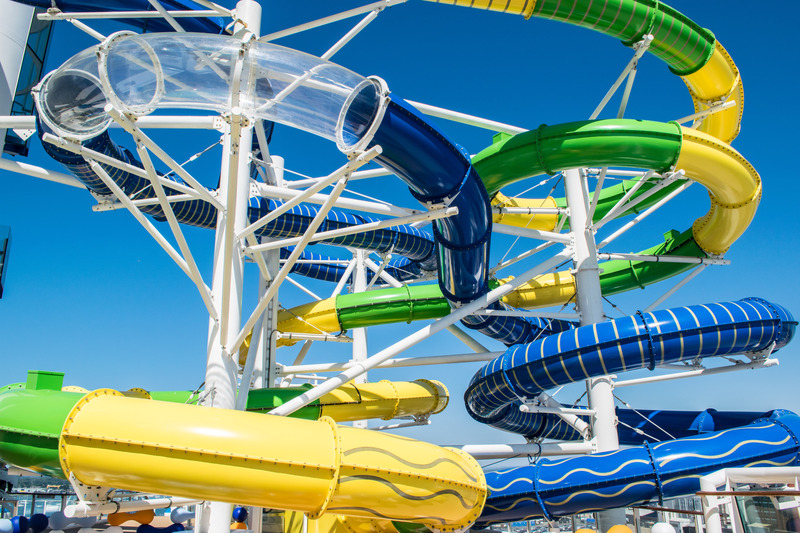 I saw so many families playing in the water features and rushing down the slides, having an absolutely brilliant sound. 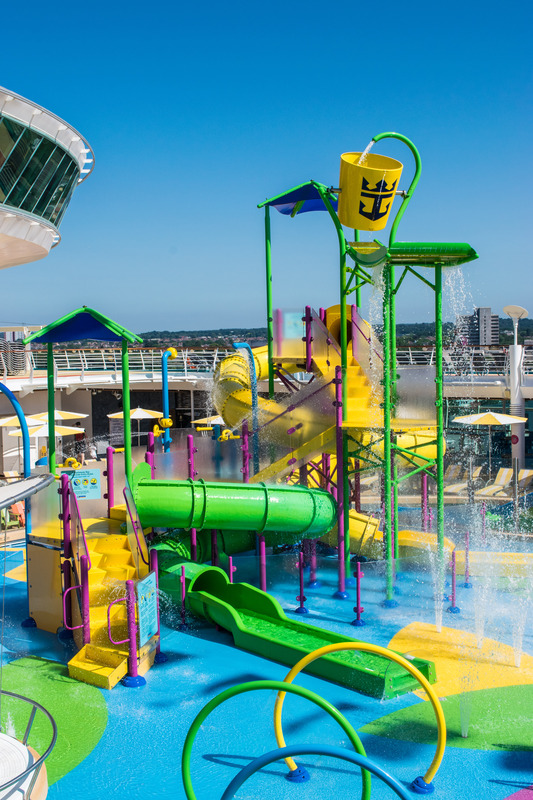 This may be one of the most impressive watery play areas I have ever seen! 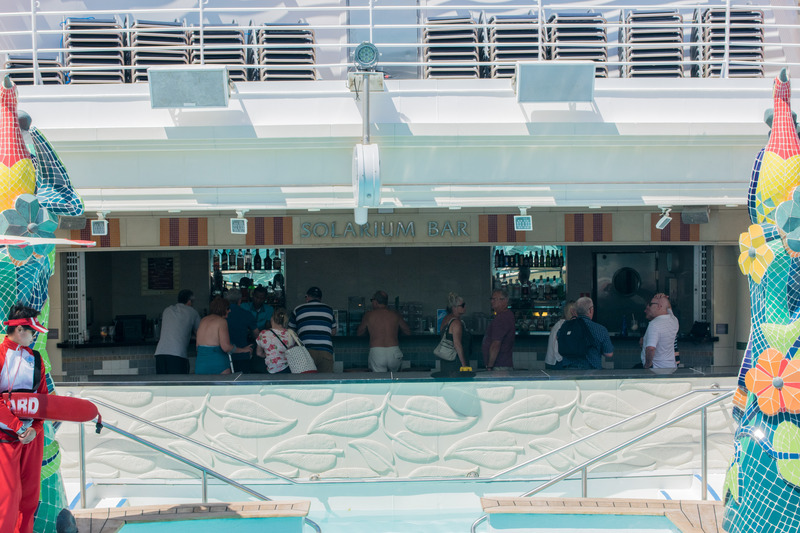 There are several swimming pools and hot tubs dotted around Deck 11, with a dedicated adult-only zone for those who are after a quieter, more relaxing time by the pool. 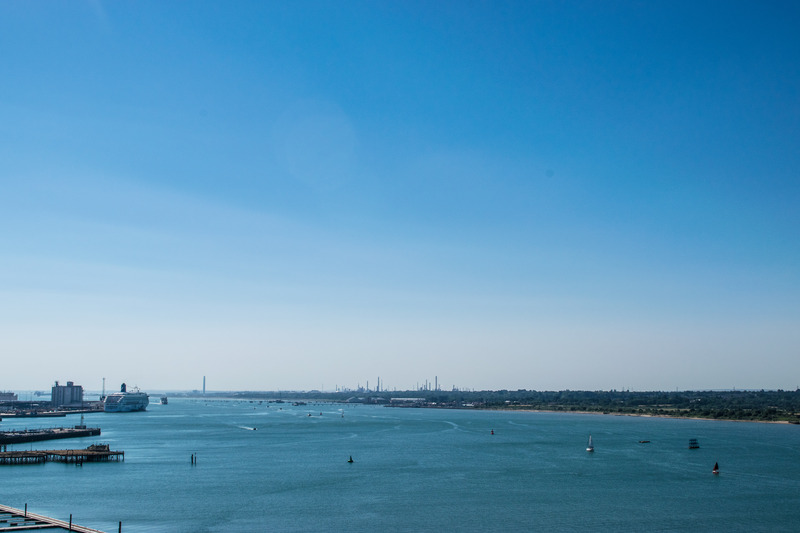 As Independence of the Seas was docked in Southampton, we were treated to a breathtaking view over Southampton Water from the top Deck, which is a stretch of water I’m used to exploring on a much smaller boat! 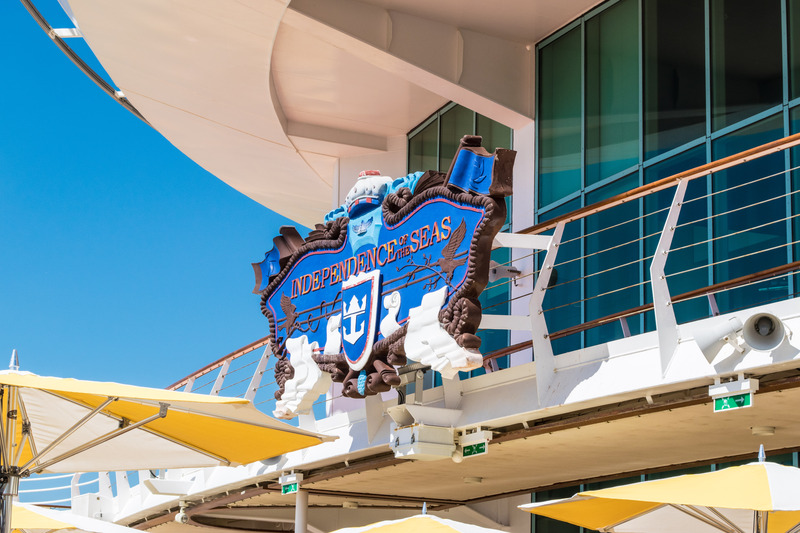 There are plenty of cruises to choose from on Independence of the Seas, travelling to the Mediterranean, Caribbean, the Canary Islands and so much more – with each cruise stopping at an impressive number of islands and countries! 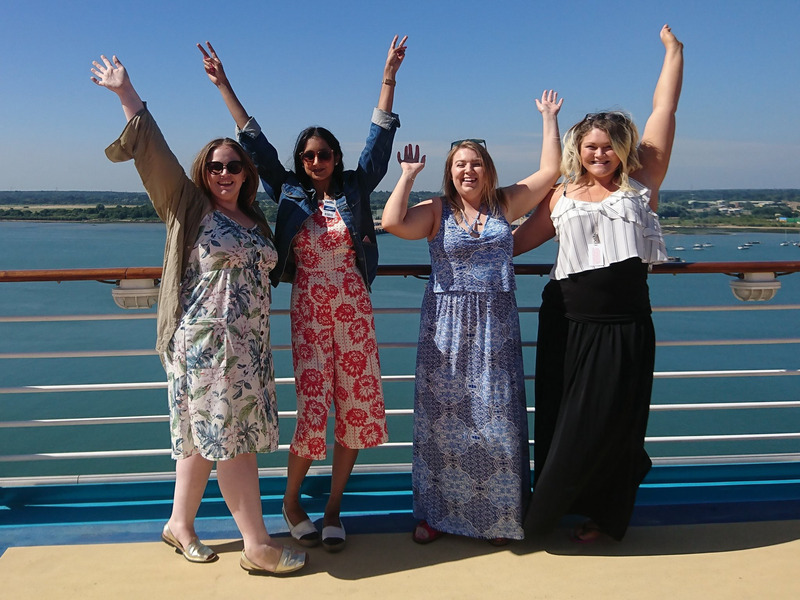 I was invited onboard Independence of the Seas with some of my fellow Southampton Bloggers – and I couldn’t have asked for a better bunch of people to spend the day with. 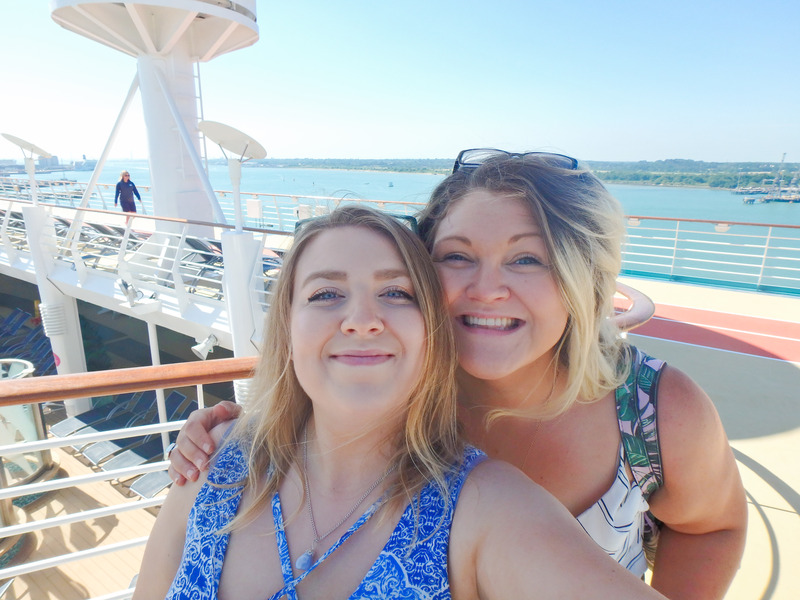 Below are Alice, Tanya and Bex – make sure to go and check out their blogs! 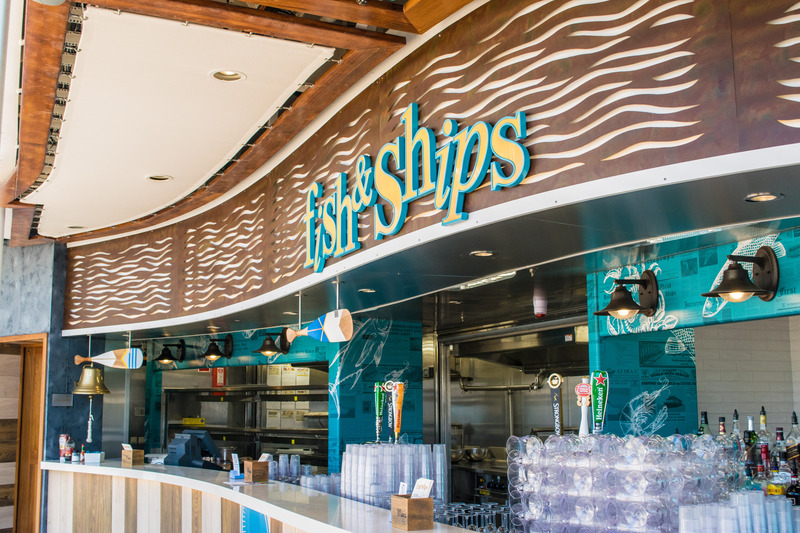 There is a fantastic selection of restaurants onboard, including a Fish & Chip restaurant, Sushi, Italian, Steak, a buffet-style restaurant and so many more that we simply didn’t have enough time to explore! 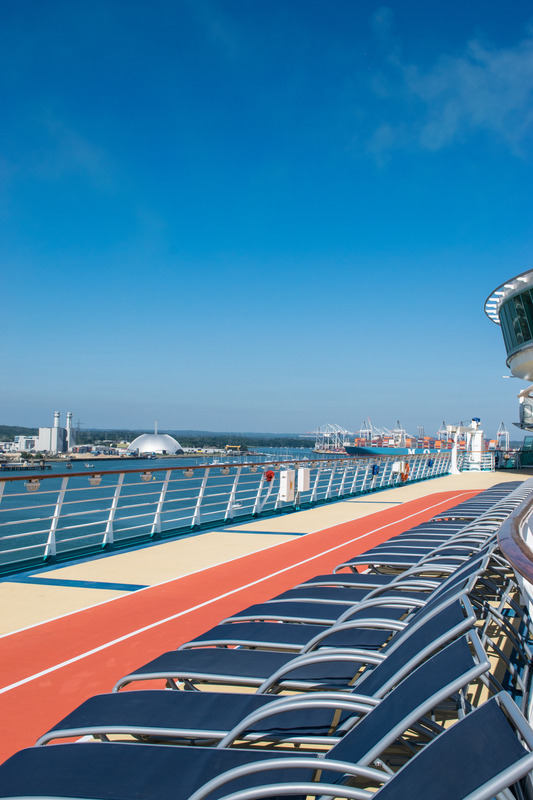 After spending a rather long time basking in the sun on the top deck, we took ourselves off on a tour around the rest of the ship. 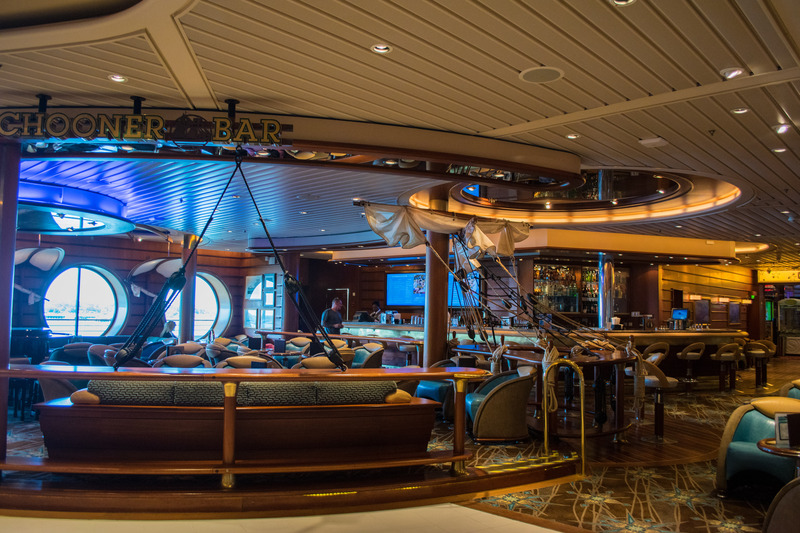 They have several bars onboard, and even a night club! 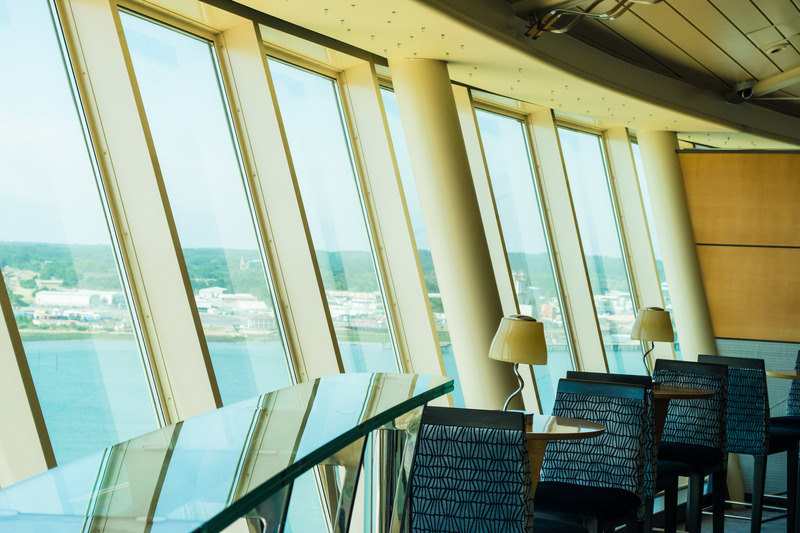 The view from these windows would be so beautiful at sunset. 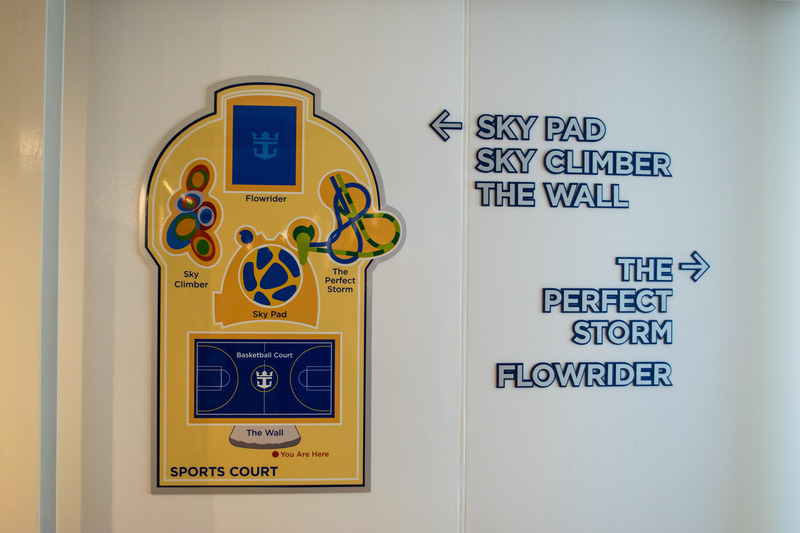 On the top deck, you’ll find a rock climbing wall towering over you – I didn’t even know that such things existed on cruise ships, but I think it’s a great idea! 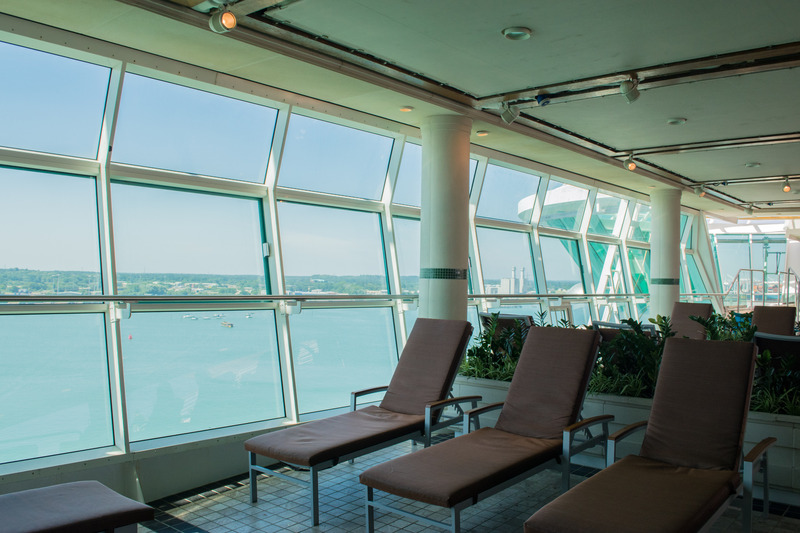 Imagine the view over the ocean from the top of the wall. 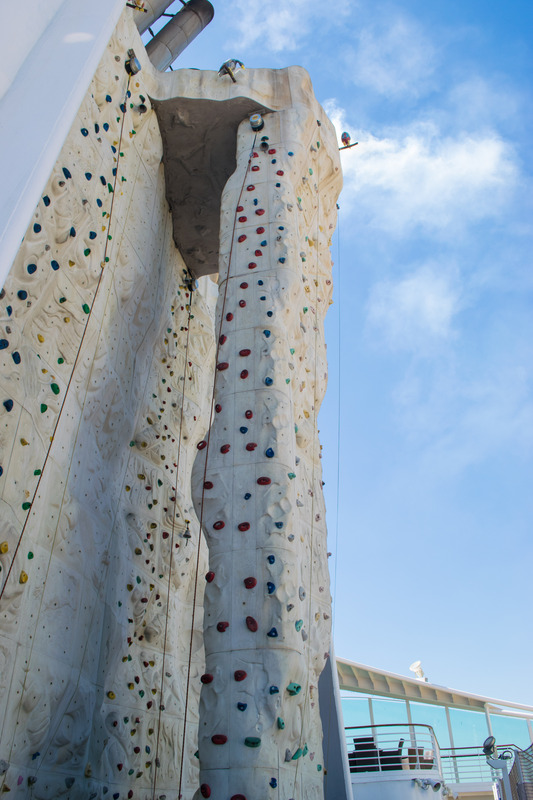 There’s also the brand new Sky Pad, their bungee trampoline experience which utilises a Virtual Reality headset for gravity defying fun. 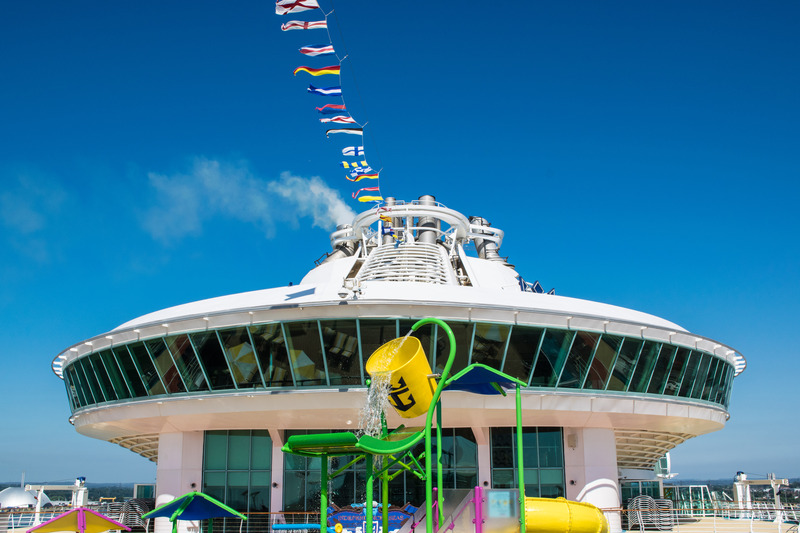 You can bounce over craters or compete in zero-gravity games – I can’t think of a child (or adult for that matter) who wouldn’t have a blast playing on this. 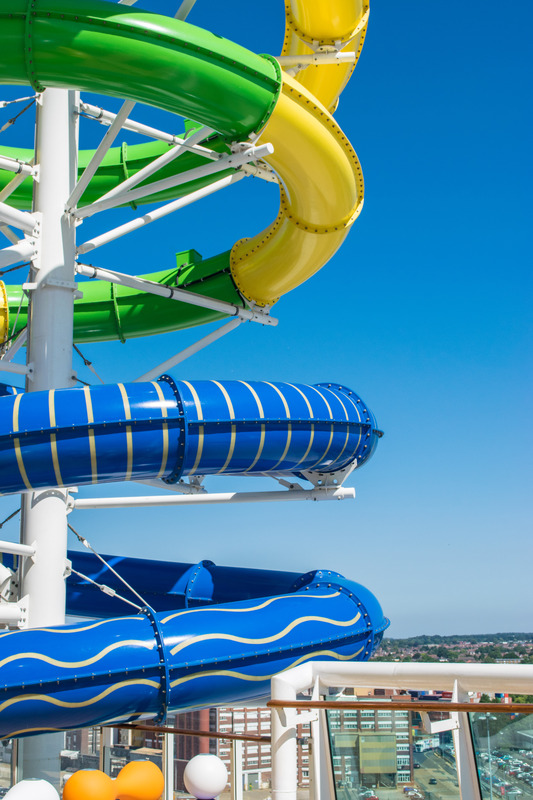 The new waterslides on the deck also looked brilliant – if they had been turned on, I’d have jumped straight on for a go! 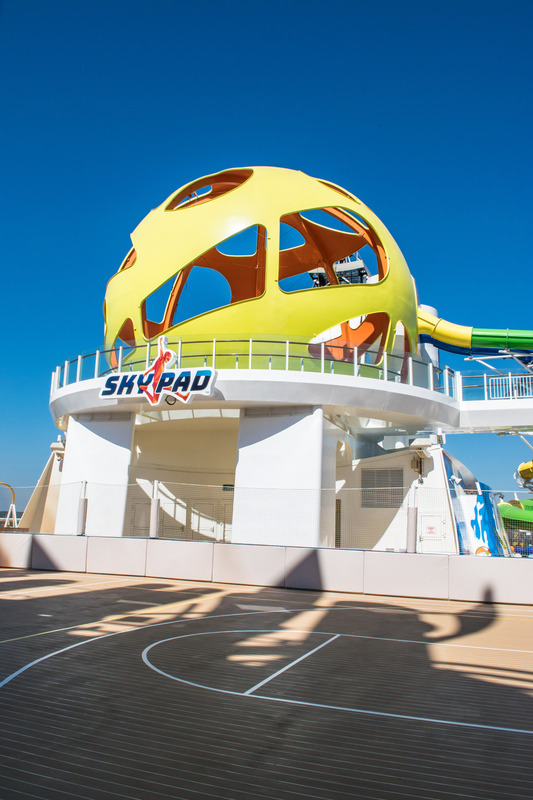 With some of the slides swirling over the edge of the deck, this would be an adrenaline packed experience for families. 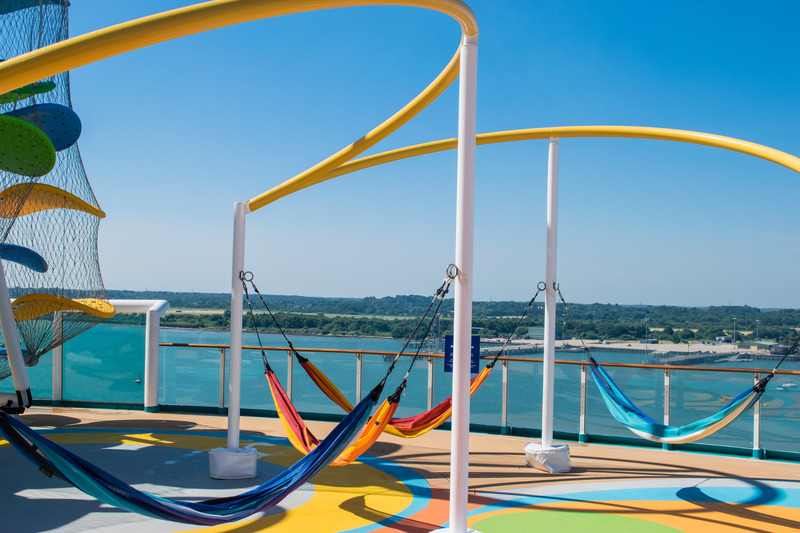 Around the other side of the deck is some hammocks for you to relax on while enjoying the view – although I imagine this area probably isn’t so serene when the slides are on! 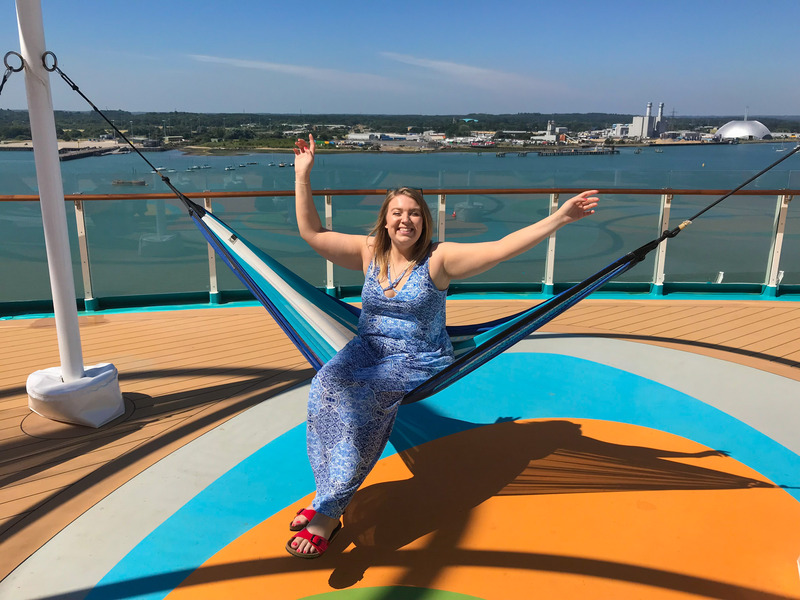 I was so excited when I saw the hammocks, as this is such an unusual but fantastic idea, and something I haven’t seen before. 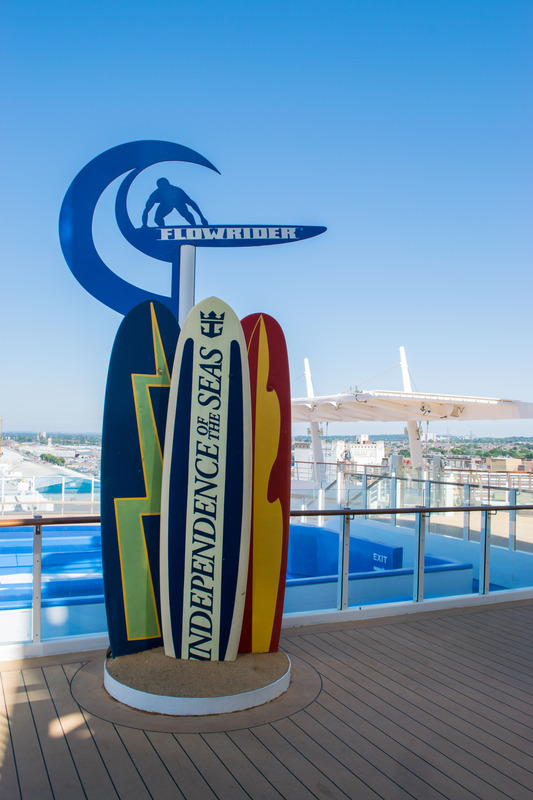 You’ll also find the Flowrider surf simulator at the back of the ship, allowing you to catch a wave without even leaving the ship. 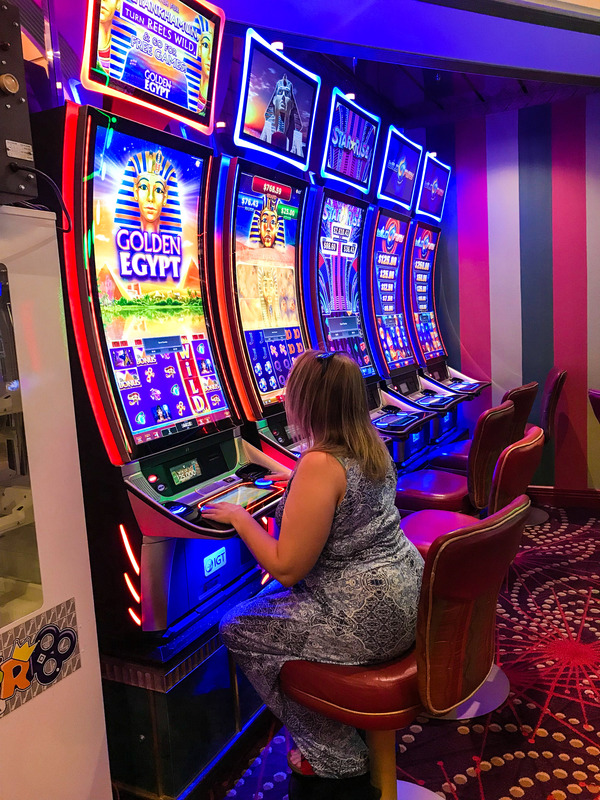 This is something that I’d definitely like to have a go on – if only for how entertaining it might be! 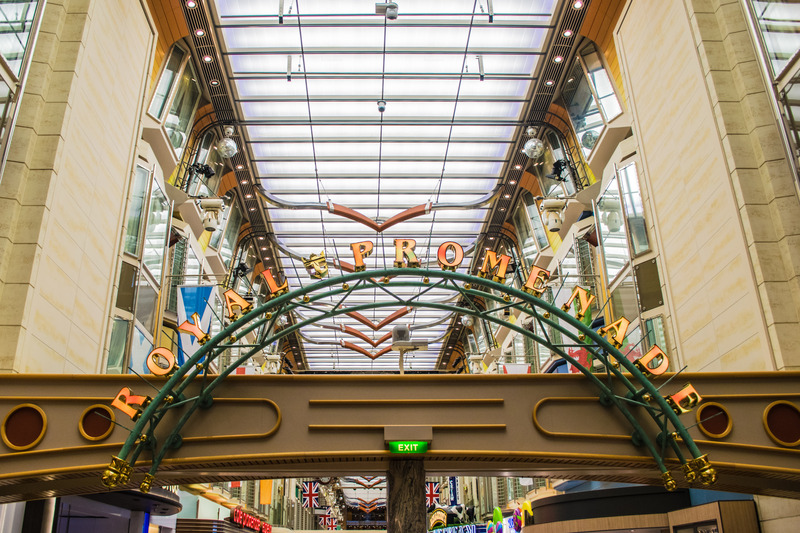 Back inside the ship is a long, fully equipped high street. 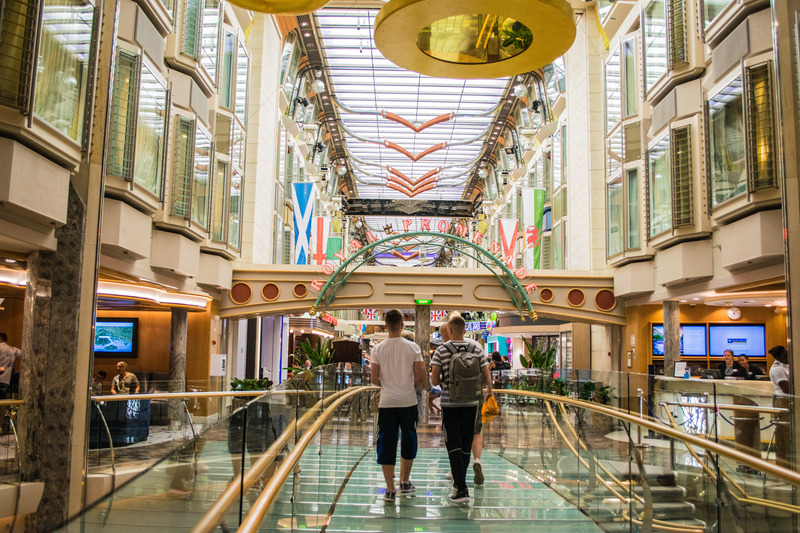 You’ll find loads of shops and restaurants dotted along the street, and you may even find that you forget you are onboard a ship. 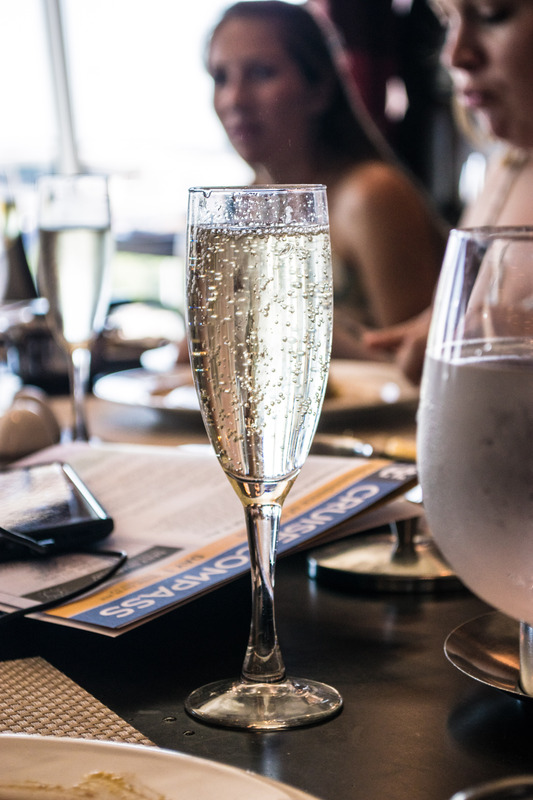 I know I did – just for a moment! 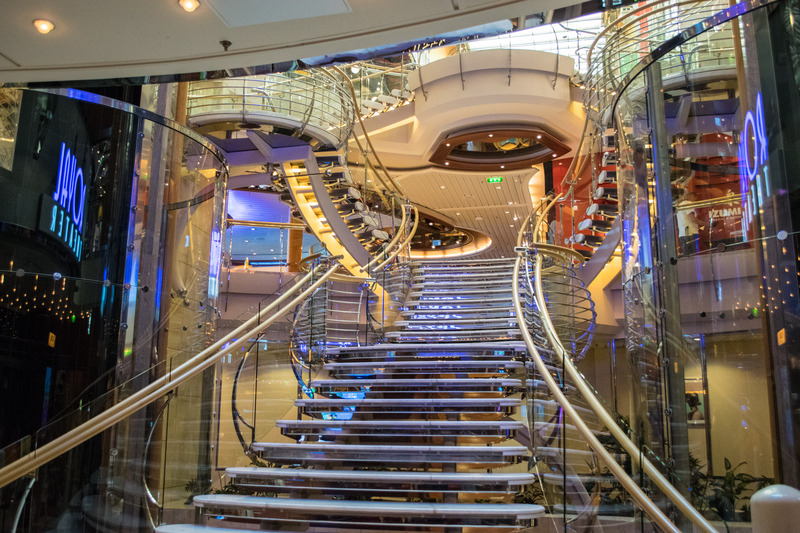 Throughout the rest of the ship we stumbled across bars, a theatre and many restaurants, although I feel like we only just scratched the surface of what Independence of the Seas has to offer. 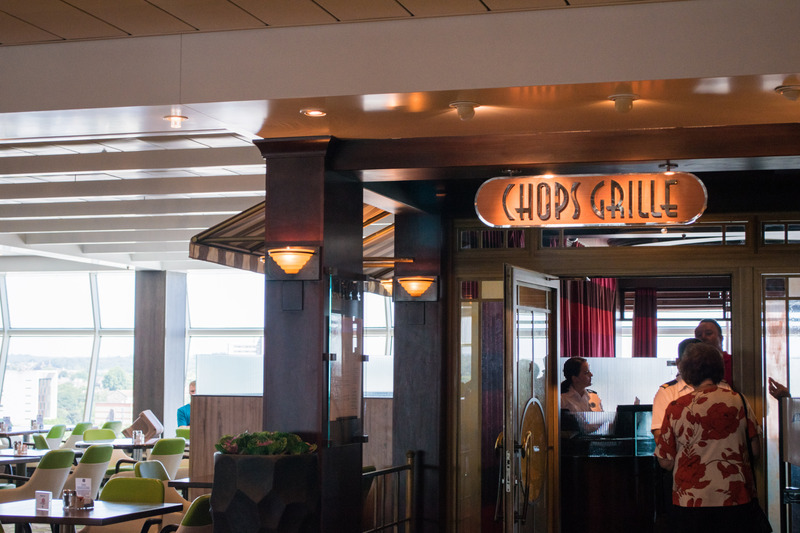 Our lunch was at Chops Grille, the steak restaurant, and it was excellent. 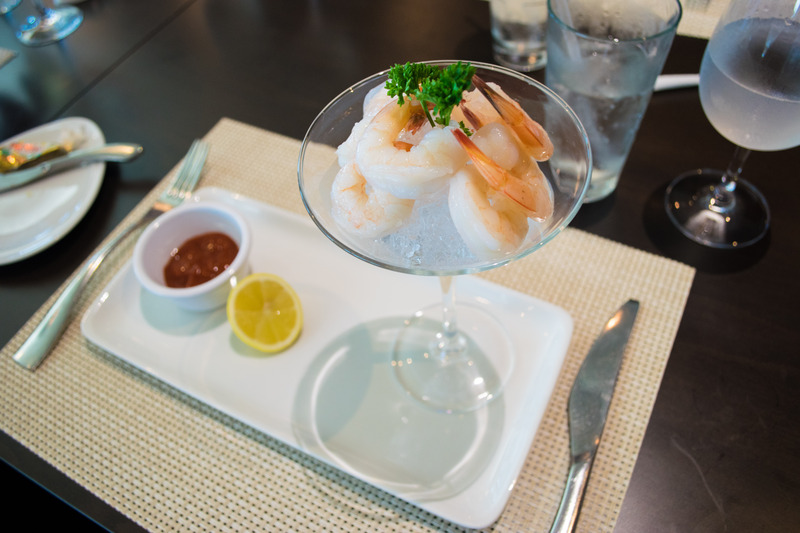 I chose the Prawn Cocktail to start, which was served on ice in a martini glass with the sauce on the side for dipping. The prawns were beautifully cooked and were very tasty. 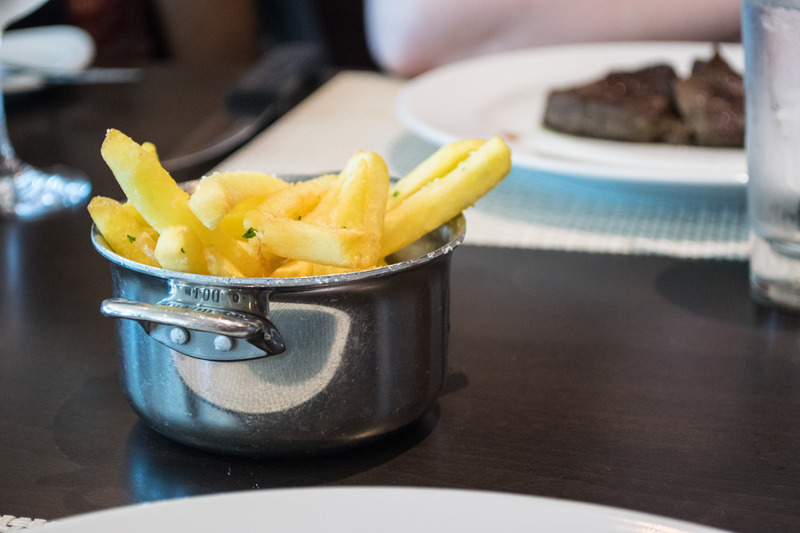 For the main I chose the Atlantic Salmon, which was served with a selection of side orders. 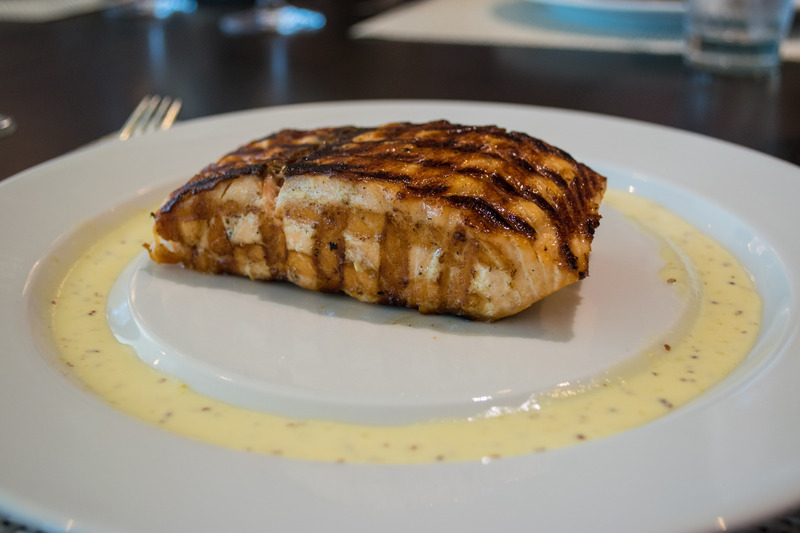 The salmon was chargrilled to perfection, and was a very generous serving! 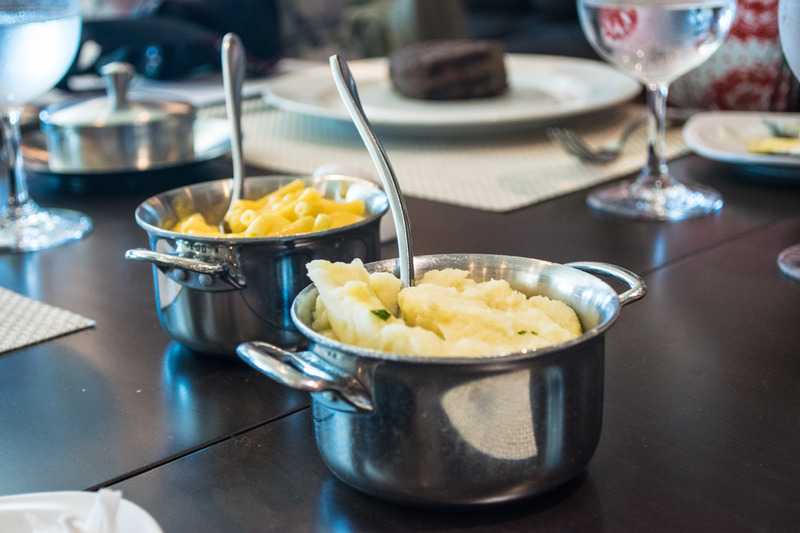 Our sides, for sharing, were the fries (which were amazing), mash, mac and cheese, asparagus and potato croquettes – all of which I could have kept eating all day. 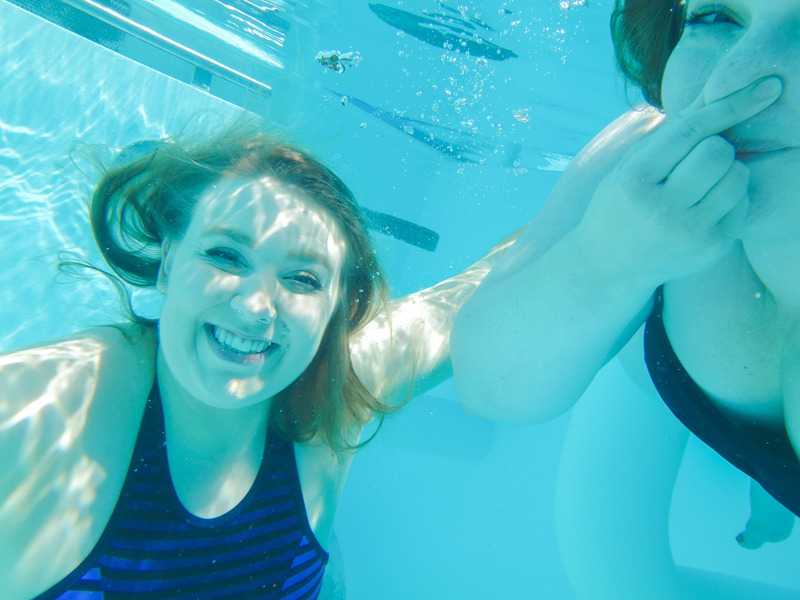 Alas – I couldn’t as our next stop on the agenda was a dip in the pool! After a little more exploring, of course. 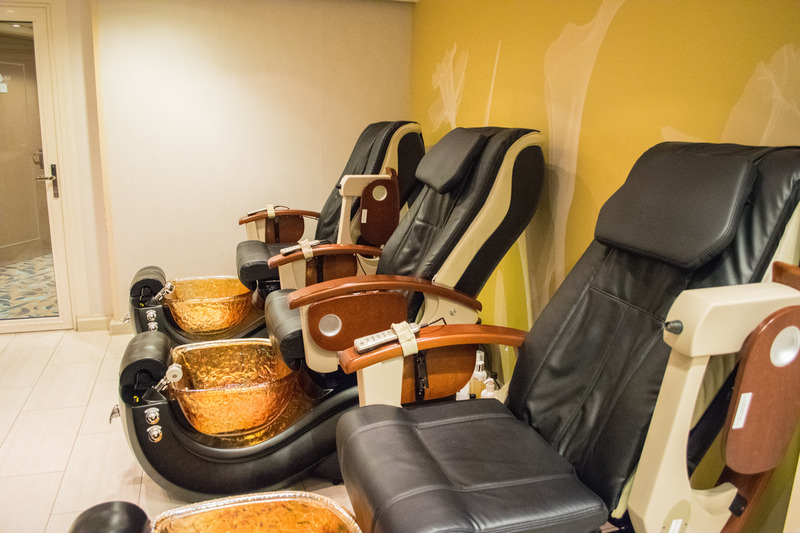 We couldn’t resist checking out the spa facilities, and they were lovely – especially the pedicure chairs! 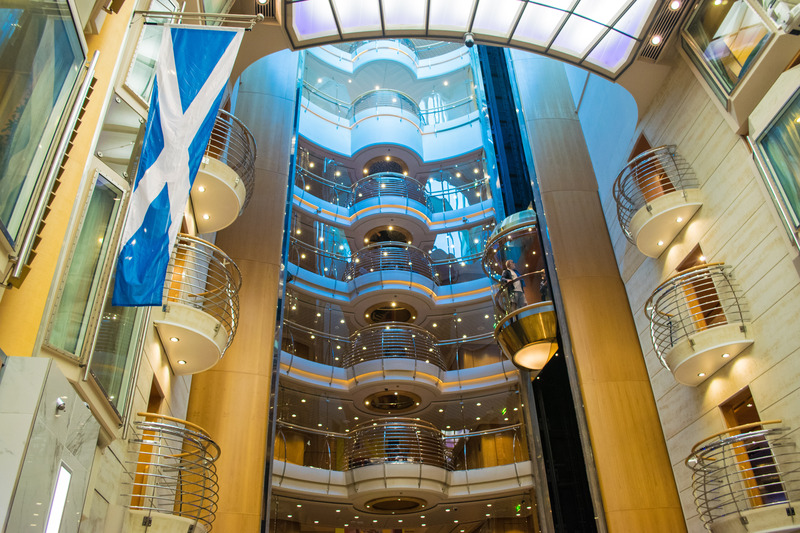 There was even a casino onboard Independence of the Seas – which would be brilliant fun in the evenings. 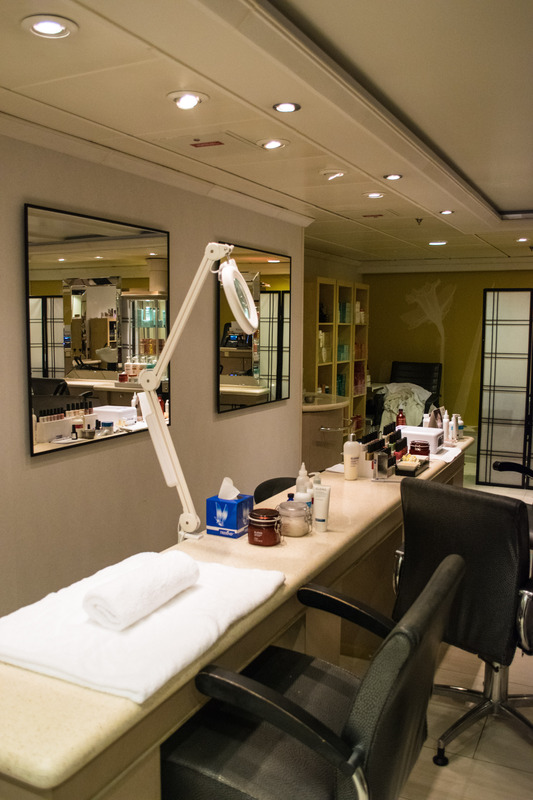 We made our way through to the changing rooms and got in our swimmers, ready for a dip in the rather appealing hot tub. 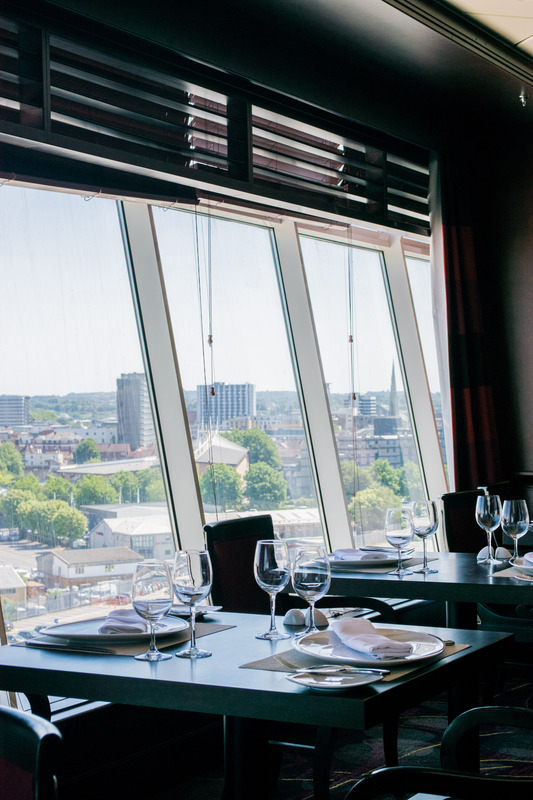 Just look at that view – how could we resist? 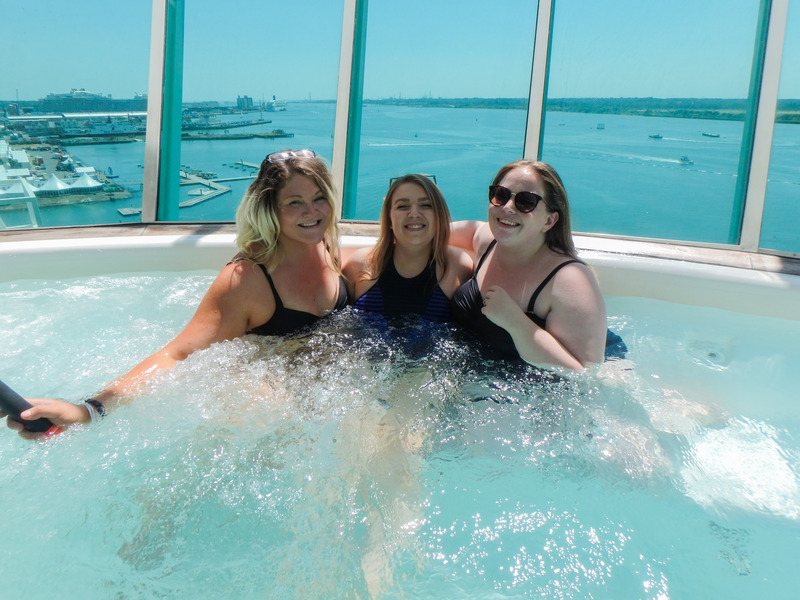 I have to say, this was probably my favourite moment of the day – in a hot tub, 12 floors up, with a breathtaking view over Southampton Water – and with two of the best ladies I know! 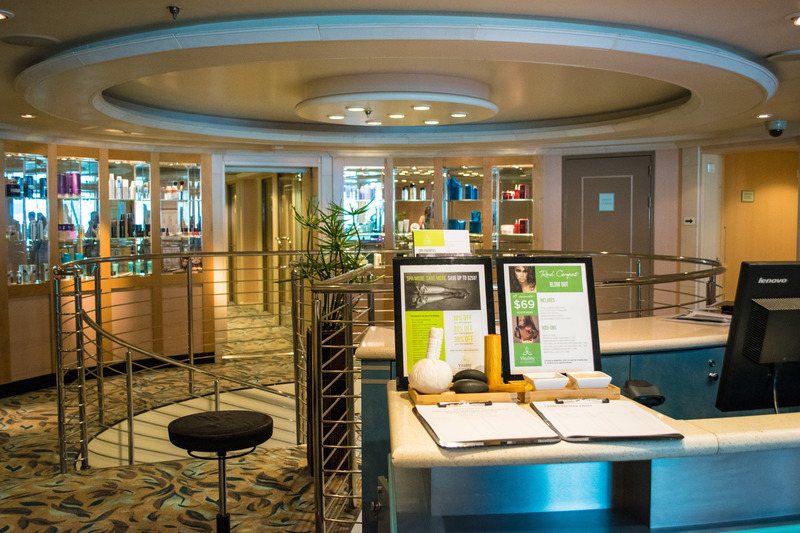 The hot tubs are found in the adults-only zone of the ship, which made it a little more relaxing. Although, we then ruined the relaxation by jumping into the main pool! Ready for a cheesy holiday photo? Here it is! 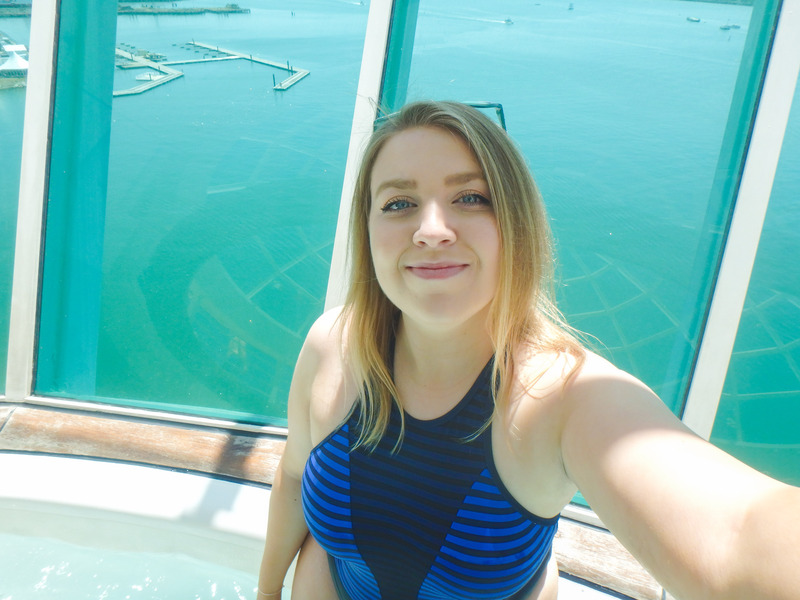 I had such a brilliant day onboard Independence of the Seas, exploring the decks, eating excellent food and relaxing in the hot tub – it was a shame to leave so soon! 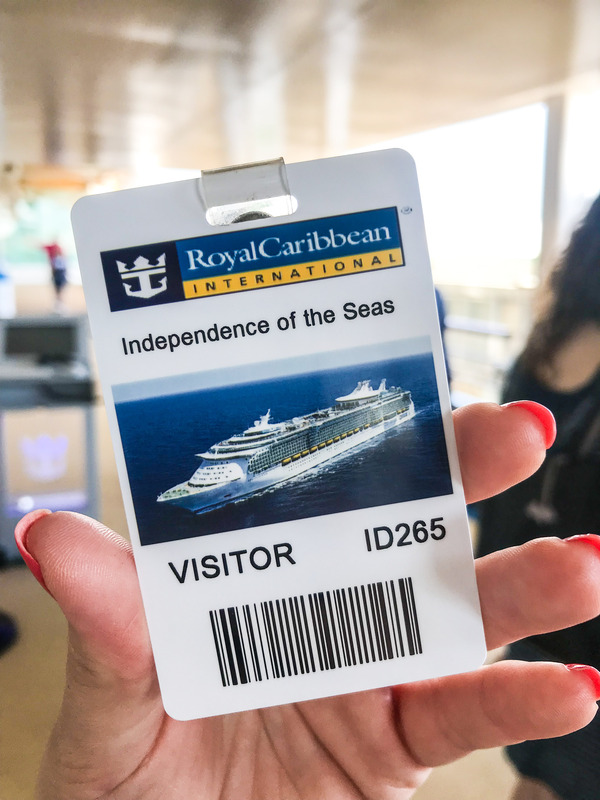 If you’re interested in a cruise with Royal Caribbean on Independence of the Seas, . 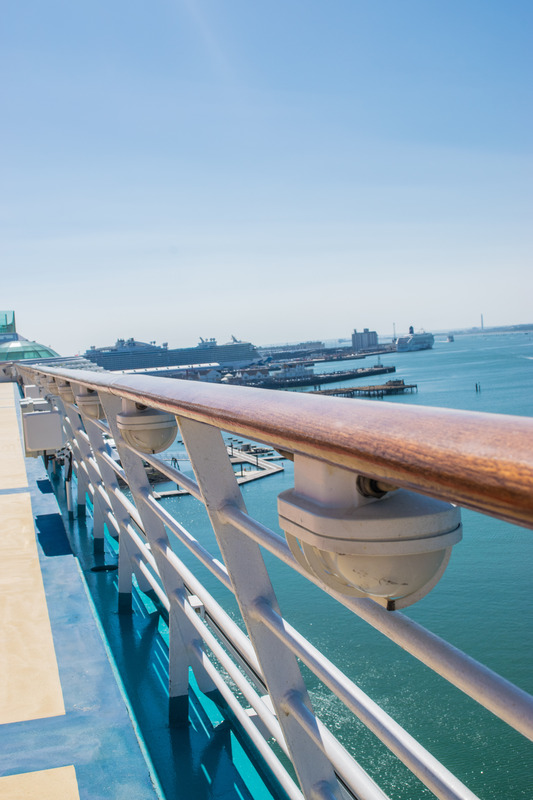 There’s just so much to see and do onboard! 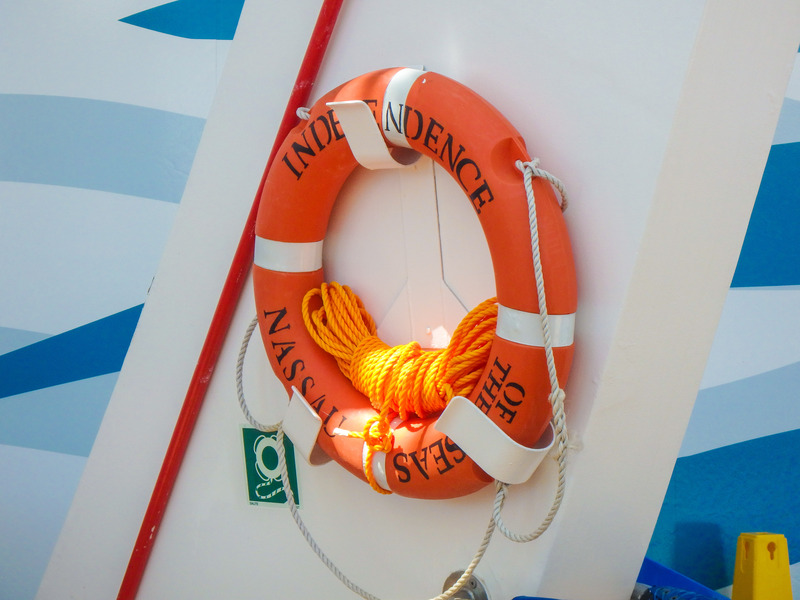 We have just done 2weeks in June on inderpence of the sea in June, 2018 Its the 3 rd time we have been on her. 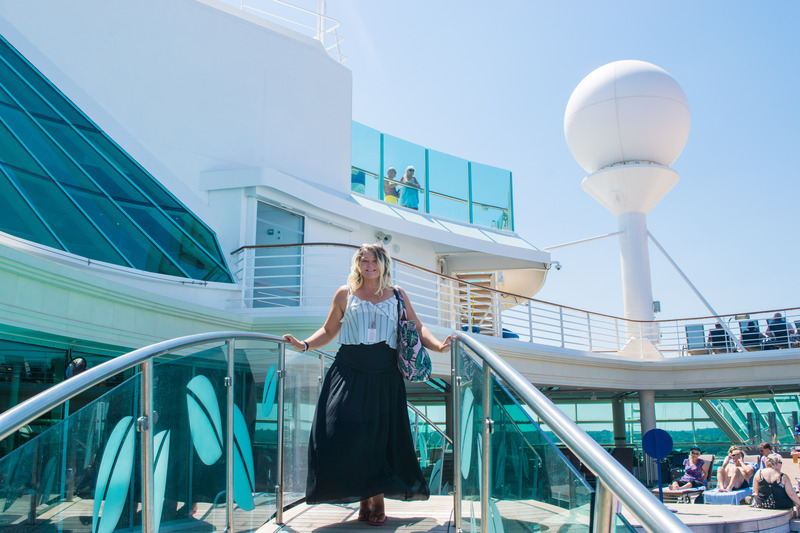 Each cruise was fantastic.Love the new look of her.